I published my first post on February 3, 2013 and I can’t believe how fast the year has flown. When I started this blog I wasn't sure how the public would react to it because blogging isn't big in Barbados but I’m happy to report that one year later I've gained awesome readers and followers who continue to encourage me with your kind words and support. Blogging isn't an easy task because it takes a lot of commitment, research and dedication, sometimes I find myself overwhelmed but you guys keep me focused and I’m glad I started my blog and proud to be called a blogger. while first. When I checked my statistics in the beginning the viewership from Barbados was leading, then United States and now almost all around the world. Thanks for the support thus far and let’s lift up our glasses for a toast to another fantastic year. Congrats! I wish you continued success. 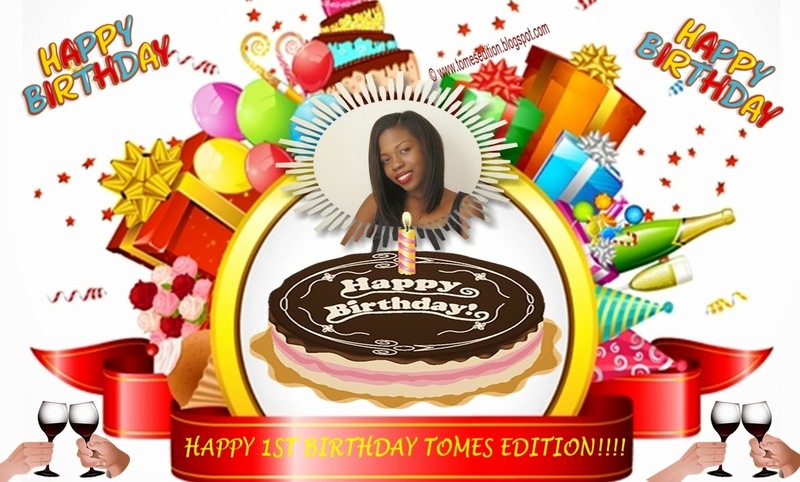 Congrats Tomes! You won't beleive how excited I was when I found your blog, Caribbean hair bloggers are very few and far between!